Solia USA has just released a brand new collection of Catering Tableware & Supplies . Need inspiration for your next trendy catered events? Want your Buffet to look chic like no other? Looking for 100% Eco Friendly Catering Dishes and Plates? Catch up with Solia USA’s new, innovative ideas for your upcoming Cocktail Event! You can't believe its Plastic! Solia USA has just introduced a whole new collection of gorgeous serve ware for water, sparkling, red or white wine. Take a closer look! You won't believe it's not glass but recyclable plastic! Crystal clear, unbreakable, each glass can be reused if cleaned with care! Avoid shattered glass at the next wedding you cater! Baking Paper molds for every need! Food stores, bakeries or take-away food businesses: behold our whole new line of practical, modern and resistant baking paper molds for your quiches, tartlets or pies! There are many shapes and sizes to choose from to serve your customers’ every need! Highly flexible so unmolding will never be a problem again. You can sell your pies or tarts directly with the mold so your customers may use it to reheat. Your Catering Business Goes Green with SOLIA! 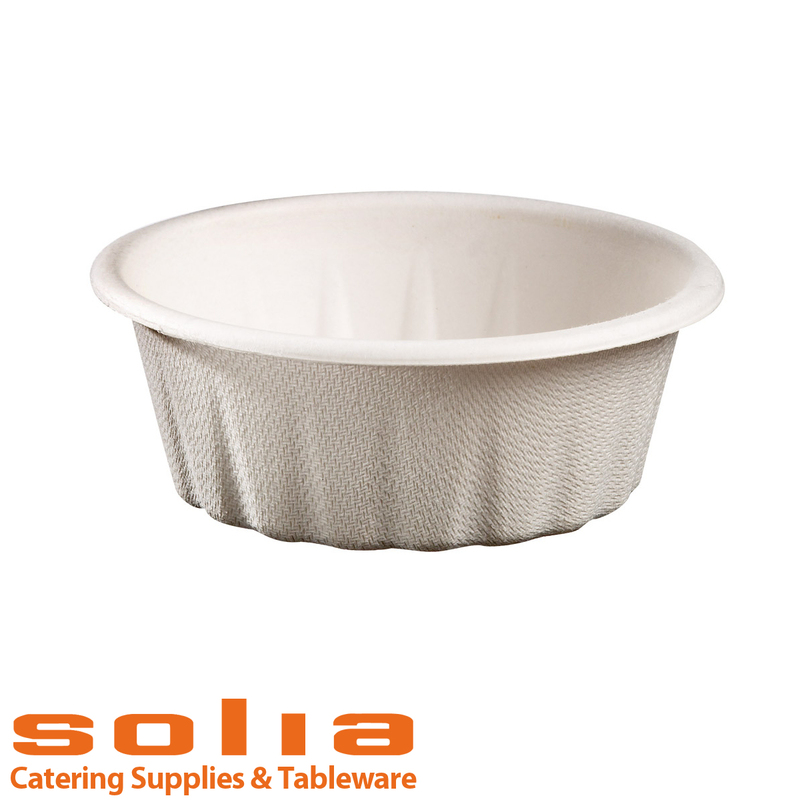 Solia USA has expanded its range of eco-friendly cups, plates and other catering tableware. Introducing even more Sugarcane Pulp and Bamboo items in small portion containers and ramekins! Also check out the new palm tree supplies for buffets! All of them are 100% compostable and withstand temps up to 120ºF allowing reheating! Generate less waste with SOLIA Eco Friendly products. Inspiring designs to fuel your Amuse Bouche creativity! If you seek inspiration for dessert or appetizer presentation, Solia USA solves everything! Small portion cups, dishes and containers like the new Champagne Cork Dish or the Tin Cans! Surprise your hosts with unique catering supply designs. Selling food to go or take-away snacks? Solia USA presents elegant cardboard snack holders and boxes for every occasion from sporting events to trendy picnics! Solia USA, the Disposable Catering Supplies and Tableware specialist is continuously innovating so stay tuned for our new creations by subscribing to our newsletter. Need more information or have a special request? Contact us!